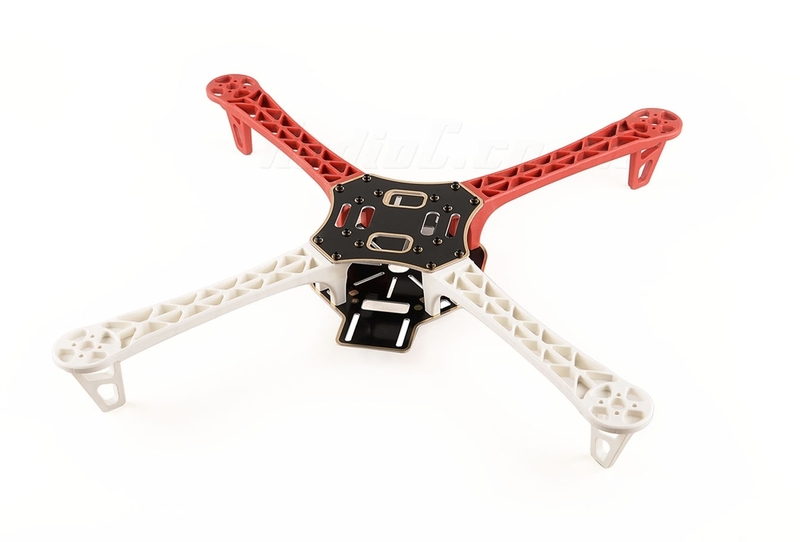 Description: It is 450mm quad frame built from quality materials. The main frame is glass fiber while the arms are constructed from ultra durable polyamide nylon. This version of the F450 features integrated PCB connections for direct soldering of your ESCs.This eliminates the need for a power distribution board or messy multi-connectors keeping your electronics layout very tidy. F450 also comes with stronger molded arms, so no more arm breakage at the motor mount on a hard landing.